In the book The Help there's a part where grits are being described and they are described as a vehicle for whatever it is you'd rather be eating. That's me with condiments. I look for ways to have condiments. What can I have with mustard? What could I have with this dressing? How could I use fry sauce with this? Could I eat terriyaki sauce on that? 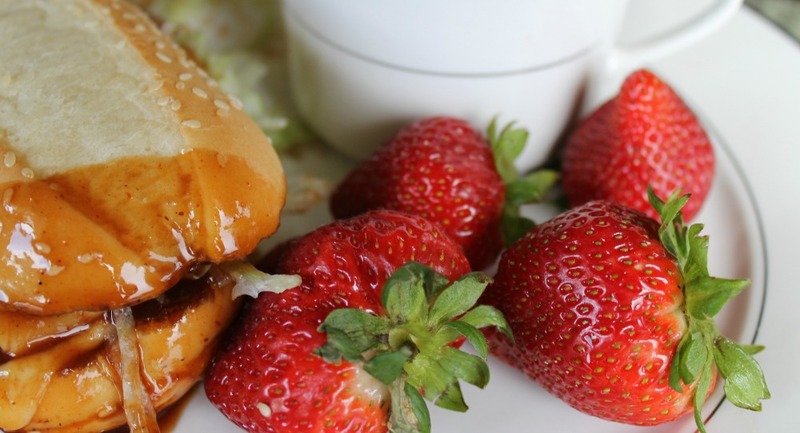 You really should try honey with fried chicken. How many ways can I use BBQ sauce? And BBQ sauce is my all-time favorite condiment. I've been known to eat it on sandwiches, corn, with fries, and then all the usual stuff. I live for ways to enjoy BBQ sauce. 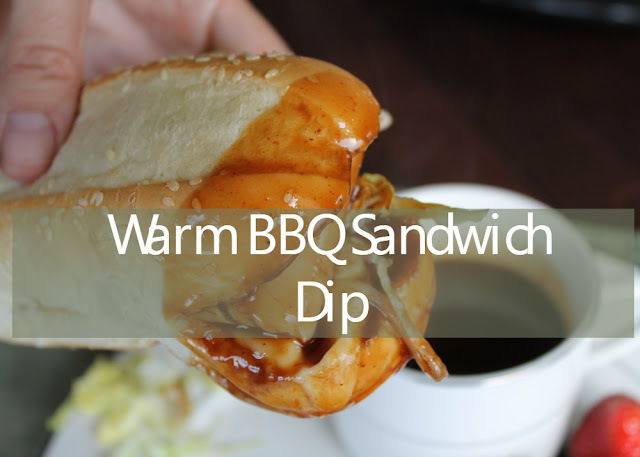 While many of you probably wouldn't love BBQ sauce on your corn (but you never know), you are sure to love this warm BBQ sandwich dip. A sandwich person I am not, but I love a warm, toasted sandwich, dunked in this sticky goodness. It's an easy and delicious meal. Try it! Sandwich toppings of choice--onions, lettuce, tomatoes, etc. While sauce/lunch meat is warming-turn your oven onto broil. Line a cookie sheet with your bread facing up (add butter if you'd like) and a slice of cheese. Remove from oven and add deli slices to each sandwich. Top sandwiches with toppings, and the other slice of bread. Dip your sandwich, eat, repeat. And enjoy!